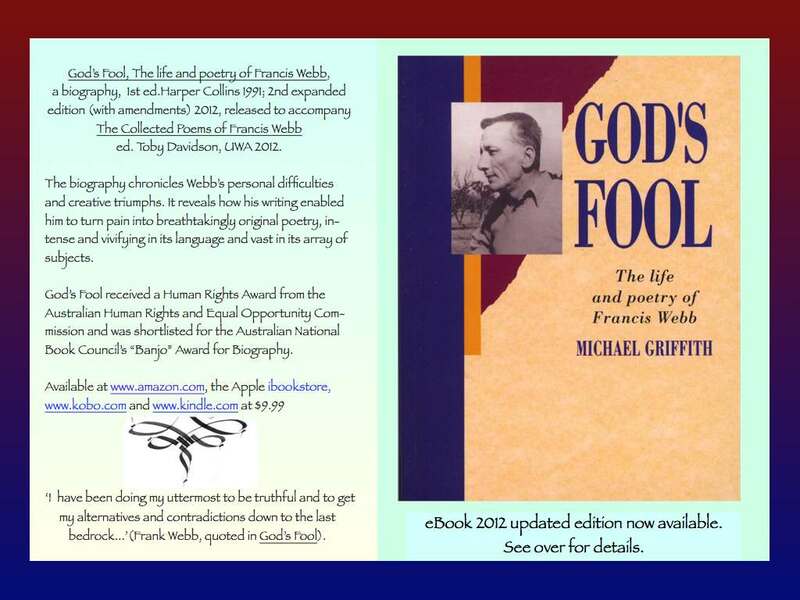 Hello all, finally my Book on the life and poetry of Francis Webb (Title God's Fool ) has been published as an ebook on Amazon.com today. You can read it on an iPad or on any computer (with Kindle software) or on a Kindle or on a Kobo. Apple iBooks will be having it available soon too. If you want to check it out go to this link at Amazon.com.